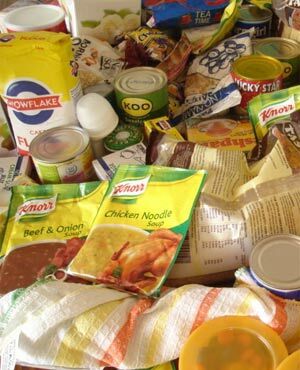 Cape Town - It would cost a family of five at least R1 146.57 per month to buy the most basic groceries, an investigation by Fin24 reveals. This is at least 52% more than the R753 Social Development Minister Bathabile Dlamini claims is adequate to support an indigent household. Fin24 embarked on a shopping trip to Shoprite in Mowbray in Cape Town to find out how much it would cost a family of five people to buy the bare necessities, including perishable and non-perishable items, for one month. The cheapest items on the shelves were selected and the quantities were conservative. Fin24’s shopping bill amounted to R393.57 more than the current monthly social grant of R753 per month with which families have to make ends meet. Please note: The list does not even take into account the cost for electricity, fuel such as paraffin, candles, matches and transport. In May this year, Dlamini said in response to a parliamentary question posed by the DA that the current social grant of R753 per month is “above the highest upper bound poverty line”. “Hence these beneficiaries (of social grants) should have enough to buy adequate food as well as additional non-food items,” she said. The DA asked Dlamini what factors government had taken into consideration when the April 1 2016 increase in social grant pay-outs had been determined, and if she deemed the increase sufficient for grant recipients to meet their minimum nutritional requirements. In her response, Dlamini said a budget of 8.2% was allocated for grant increases. “This increase needs to provide for both demographic and economic factors. All these factors have a considerable influence in determining annual grant increases. However, these increases are constrained by the available budget,” Dlamini said. The minister has since come under fire for her “insensitive responses” and the DA has subsequently invited Dlamini to join them for a grocery shopping trip at the Shoprite in Soweto on Wednesday to find out what R753 per month could buy. “With rising food prices due to the drought and other factors‚ the minister’s claim is deeply insensitive and completely untrue‚” Bridget Masango, the DA’s spokesperson on social development, said in a statement. Meanwhile, Dlamini is rumoured to have stayed at the luxury Oyster Box Hotel in Umhlanga Rocks in KwaZulu-Natal on 31 occasions, according to the DA. “The DA urges Minister Dlamini to break her silence and make public who paid for these stays,” Masango said in a separate statement.